The present report is submitted to the Human Rights Council pursuant to resolution 31/19. The report communicates developments in the human rights situation of the Islamic Republic of Iran that have transpired since the submission of the report of the former Special Rapporteur to the 71st session of the General Assembly in October 2016. 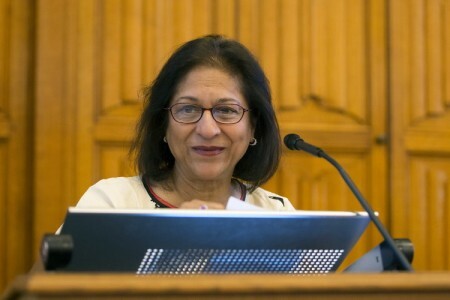 During its 33 rd session, the Human Rights Council appointed Ms. Asma Jahangir as Special Rapporteur on the situation of human rights in the Islamic Republic of Iran. The present report outlines the Special Rapporteur’s activities since her appointment by the Human Rights Council, examines ongoing issues, and presents some of the most recent and pressing developments in the country’s human rights situation.. It is envisaged that a number of important issues not covered in the present report will be addressed in the Special Rapporteur’s future reports to the General Assembly and the Human Rights Council. Read the full version of the report.